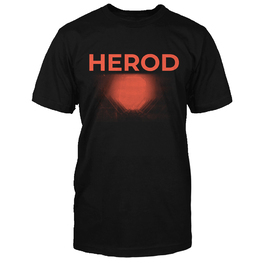 Herod have arisen from the ever prosperous Swiss music scene. Throughout their young 4 years of presence, they have already shared the stage with such acts as Gojira, Crowbar, The Ocean, Carcass, Obituary, Napalm Death and Voivod - Attesting their repute as the bus boy's of King Herod, serving up whole sides of rare riffs, disposition, beauty and authority. Initially the brain child of guitarist Pierre Carroz, 2014 saw Herod?s debut release "They were None" via Mighty Music and a subsequent European tour. Following the departure of original vocalist David, former THE OCEAN (Precambrian) vocalist Mike Pilat was recruited for follow up album "Sombre Dessein". Pilat also plays guitar and Herod are now furnished with a supplementary layer of musicality to complement both heaviness and soundscape aspects of their palette. CARCASS guitar player Bill Steer makes a guest appearance on the track "Fork Tongue". Recorded and mixed by Swiss audiophile Julien Fehlman, mastered by Magnus Lindberg from Cult of Luna, "Sombre Dessein" is an album of staggering riffs, intricate yet groovy polyrhythmic patterns and sheer heaviness. The bi-lingual vocal approach adds an unusual but intriguing aspect to the band's delivery of their craft. "The concept of the album is about the end of our Judaeo-Christian and thermo-industrial civilisation. The artwork and video clip are made up from footage of 'Shipbreakers', people who dismantle huge container ships which end up mooring to die on Indian or Bangladeshi shores" comments Pierre Carroz. 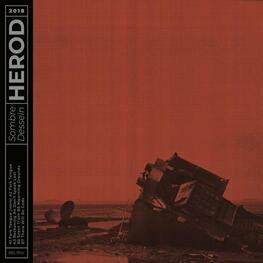 HEROD create a strong musical and visual image of the abysses of the human consumption project, "which turns out to be hell on earth for these people whose every day work involves constantly risking their lives to feed their families", Carroz says.